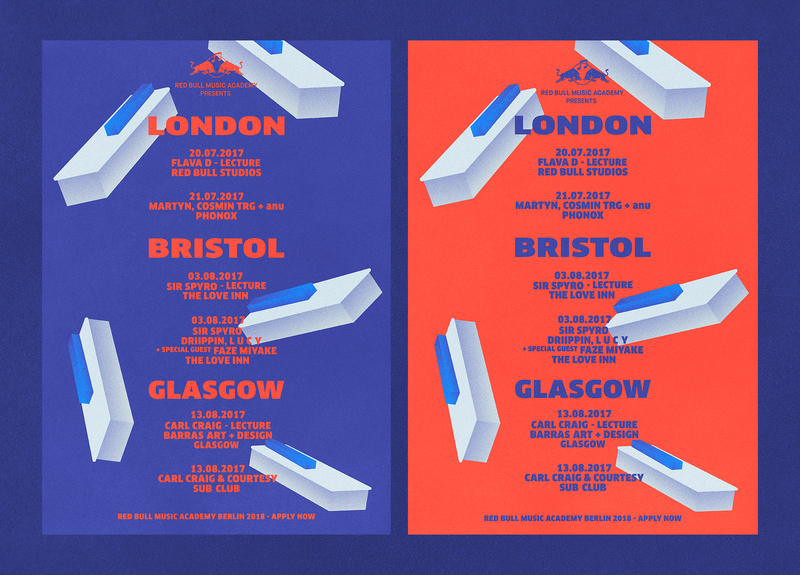 The Red Bull Music Academy is a world-traveling series of music workshops and festivals, over the past two decades, the Red Bull Music Academy has touched down in cities across the globe including, Tokyo, New York, Melbourne, Cape Town, and more! This year the academy will be in Berlin, where the academy began, marking 20 years of the series. Each year the Academy creates a series of posters as promotional material to get new music producers and music makers to sign up to the academy. The posters have been designed to explore themes that relate to each of the artist’s style of music. Some of the artists are known for their ambience and progressive builds where as other are renowned for the remixing talents. 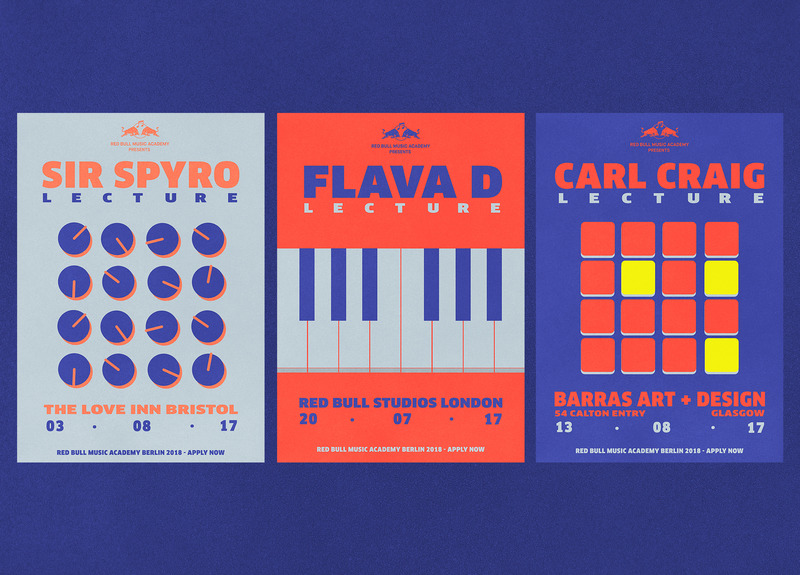 The second reference within the series is that of music production technology, with the lecture posters referencing, MPC samples, keyboards and dials. 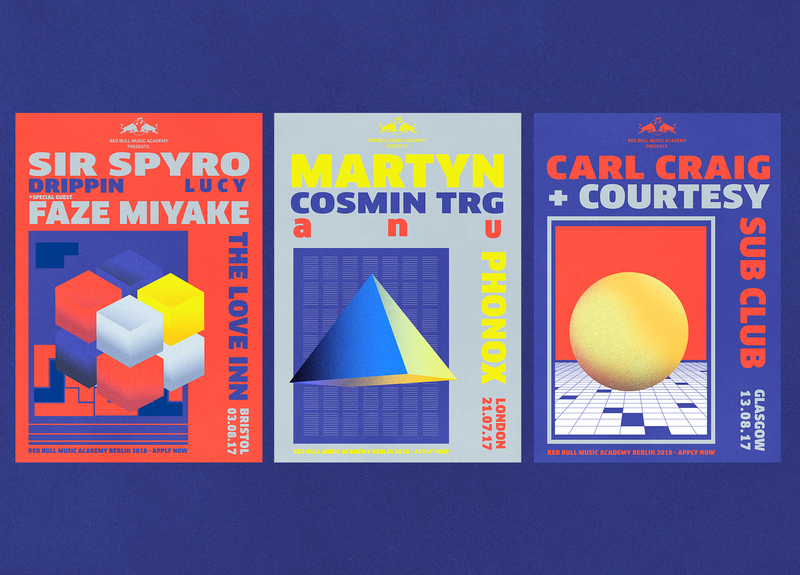 The posters will be used across the whole of the campaign, only Red Bull Music Academy’s website and in venue for each of the shows and lectures.